We do believe creativity is priceless, but then creation has a price. It is simply because there is a cost associated with every content creation, not to be mixed up with copying of digit content which is free. In fact, in most cases the cost of content creation is higher than general audience has imagined. The content is free concept needs to be rectified. Most content creators don’t get income. While for some, not even feedbacks and attribution. Advertising model distorts creativity and income distribution. Make no mistake, contents still make lots of money on the Internet, mostly through advertising. But that comes with a high hidden cost. Content creators are supposed to express themselves, or make contents audience appreciate — which has some subtle differences from want. With the change in business model, creativity is distorted towards eyeball generation for the the sake of advertisement. It is fortunate that immersive contents like books and movies are still being sold. From another angle, however, it also shows under advertising model, it is almost impossible to produce immersive contents. 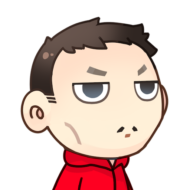 Another issue with advertising model is while it does generate a lot of income from contents, most of the money goes to platforms rather than the creators. Over a billion people share contents on Facebook and Instagram over the years, but hardly any of them have thus generated any income. Some people do make money on YouTube, but compared to their creativity, workload and what Google receives, the income is insignificant. While prominent content brands may fight for their reasonable share with Facebook and Google, individuals can only accept the terms if they are to use the platforms. Many content users are willing to pay to show their appreciation, but micropayment is too costly to be practical. Some say no one is willing to pay for content creators. This is simply not true. After years of development, the Internet has reaffirmed the importance of paid model in order to continuously produce high quality contents. Kindle (buying of eBooks) and subscription services like Netflix (buying of movies and TV shows), Spotify (buying of music) are having enormous success. It proves there are still lots of customers willing to pay for contents they appreciate. 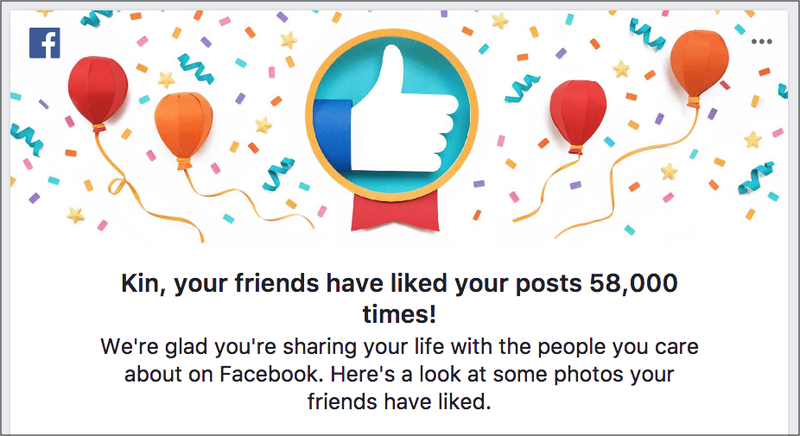 For individual, piecemeal production, however, appreciation is mostly in the form of a thumb — the Facebook like. It is not that people refuse to pay for it, but they are not given the chance, or there is no easy way to do so. Take China as a reference, with WeChat, Alipay and the government enabling not just general payment but also micropayment of RMB1 (approximately 15cents) with less than 1% transaction fee, a huge content tipping market is produced. A lot of content makers are thus able to work full time on what they do best and enjoy most. It clearly shows that people are willing to pay for contents just to show their appreciation. 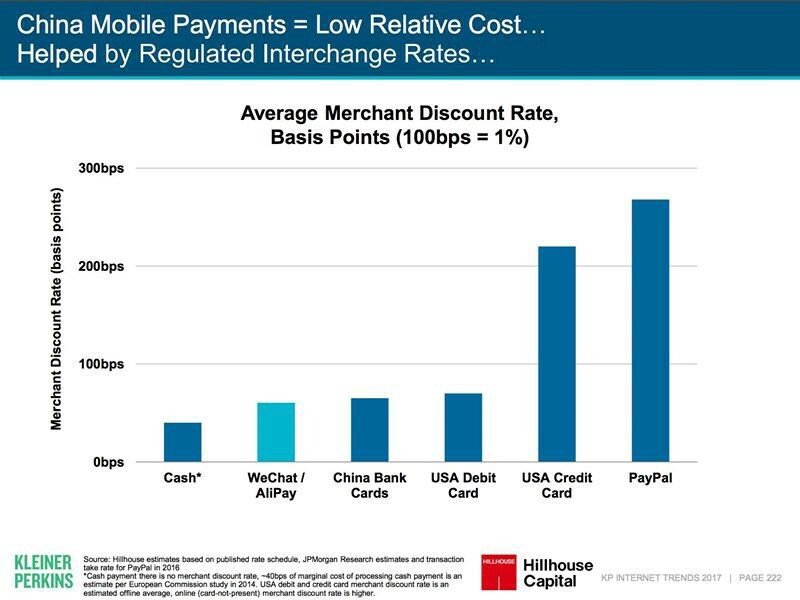 Average cost of different payment methods. Note for micropayment, the cost of credit card will be substantially higher. But for most other countries where credit card remains the major payment method, or underlying mechanism of other payment methods like Apple Pay, the transaction cost of micropayment is very high. Say, a USD1 payment would induce a transaction cost almost 30%, not to say in many countries, what users are willing to pay for a piece of content is way less then 10 cents. A typical solution to the high micropayment transaction cost is to bulk purchase virtual tipping tokens. But it would greatly increase the friction of the purchase. It also sacrifices user experience since the tokens are not interoperable and can only be used or redeemed within a single service. Attribution is hard, sometimes impossible. Derivative works add another dimension of complexity. 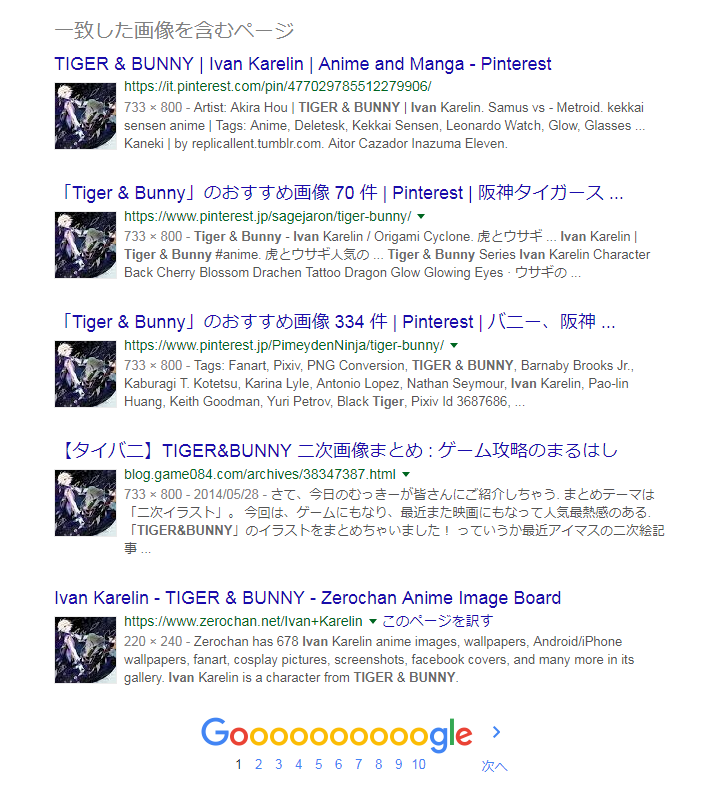 Many people know how to use image to search for images on Google. Quite often we can find many versions of the same picture from various websites. We have no idea who originated it. Even the Google god of knowledge does not tell us. The Internet is all about collaboration. Even for this article with me being single author, various pictures from the Internet are included. It is not uncommon for people to borrow without asking — i confess i sometimes do — although more and more people learn to use only contents under Creative Commons (CC) license, such as this very article. But in any case, attribution is usually hard, even if one intends to do it properly. On the creators’ side, there is no easy way to be informed when people share their work, be it attributed or not. In some extreme cases, the author cannot even prove her/himself being the original owner. Not only does Creative Commons enables free distribution of digital contents, some forms of it allow derivative works, too. In this case, a content may be based on an attributed work basing on another work, which is further based on another work, so and so forth. This is the beauty of Creative Commons, but it also adds a whole new dimension of complexity to attribution and acknowledgement. In the next article, we will introduce a solution we are proposing to address the above issues — an ecosystem for showing appreciation to content creators. 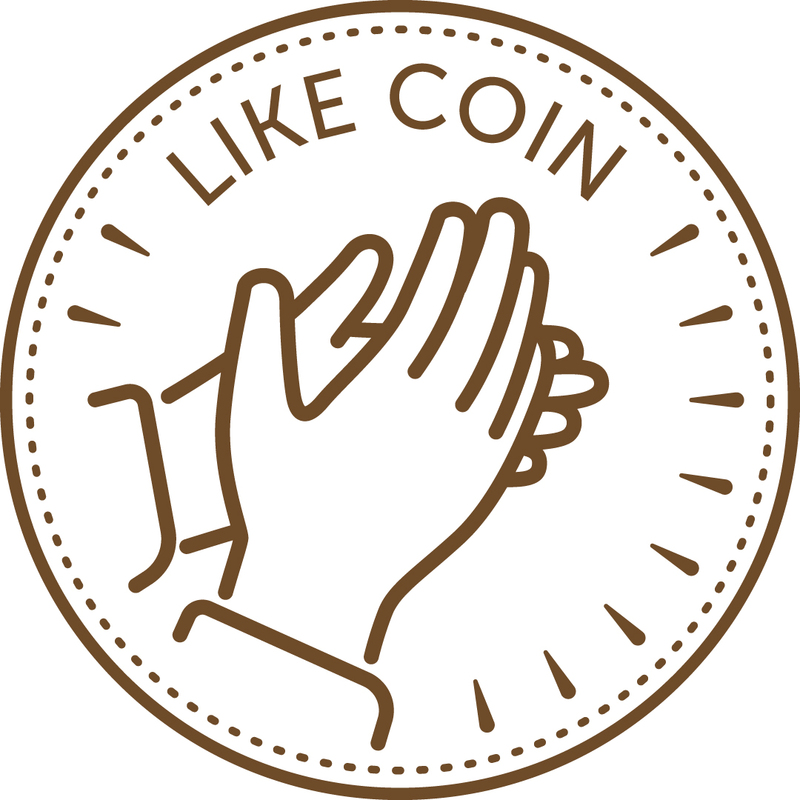 At the heart of the ecosystem is a social currency which we call the LikeCoin, which aims to redefine Like to go beyond just a thumb.